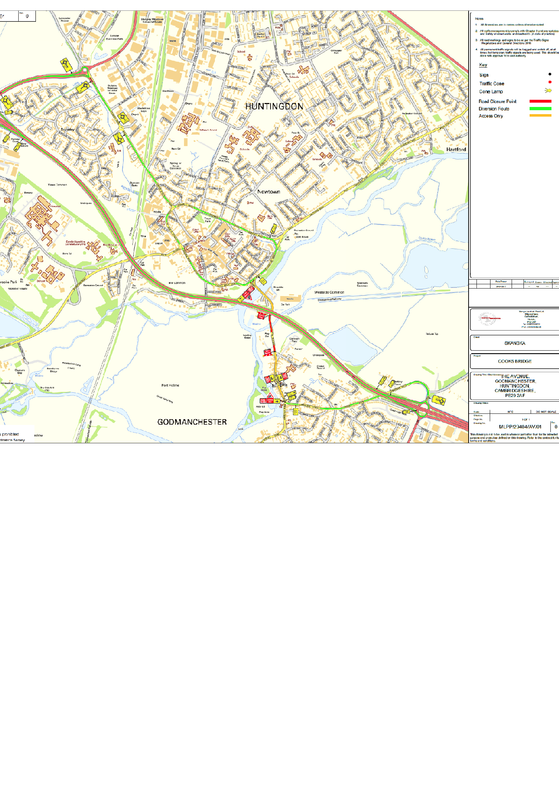 Due to a failure of the fill material and surfacing at Cooks Bridge, The Avenue, Godmanchester we require an emergency road closure this Sunday on 3rd September 2017 (subject to approval from CCC Street Works and Highways England) to carry out extensive patching works, repair of the fill material and waterproofing replacement. Works are only forecast to take one day meaning the road will be open by Sunday evening. We believe Sunday will cause the least amount of disruption to traffic and road users in the area and pedestrians and cyclists will still be able to cross the structure.